Beautiful, move in ready, single level home with attractive stone front and split 3 car garage! Popular Pulte Homes Cypress model ideally located on a premium lot across from the community park/pool (no homes in front, one level homes behind/on the sides). 2018 upgrades include new stainless steel appliances (refrigerator, gas range, microwave, and dishwasher); new Blanco kitchen sink; new carpeting/pad throughout; new elongated Kohler toilets; interior/garages repainted; new epoxy coated garage floors and decorative patio coating; LED light bulbs throughout; new landscaping; etc. 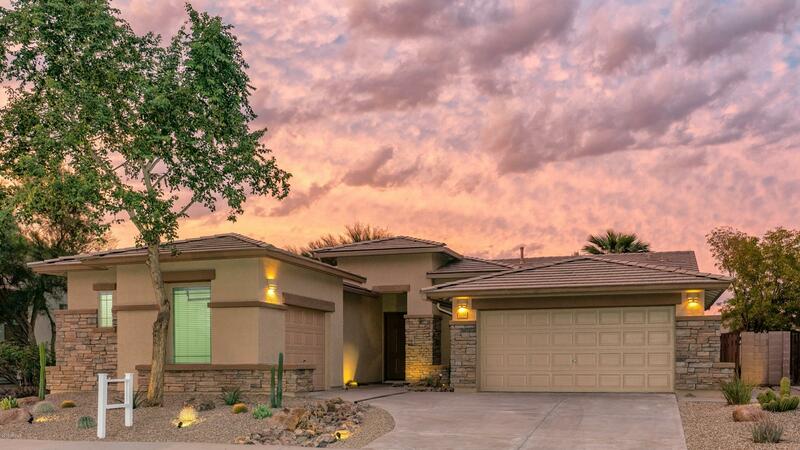 This pristine property also offers a spacious, open floor plan; large kitchen island; Corian countertops; natural light solar tubes; fireplace; huge covered patio with ceiling fans; and more (see detailed list).